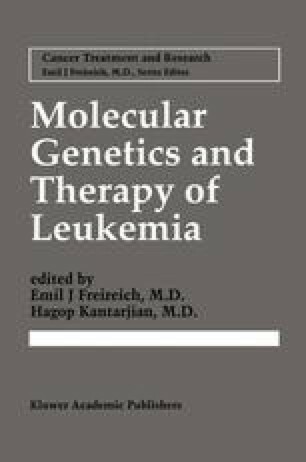 The hematologic malignancies, namely, acute and chronic leukemias and lymphomas, are among the most chemosensitive malignancies. Responses and complete remissions occur in the majority of patients with lymphoma and leukemia. Unfortunately, recurrence usually follows, indicating the persistence of cancer cells with a higher degree of resistance. For many chemothera-peutic agents, however, there is a steep dose-response curve. This is particularly true for alkylating agents, for which any level of in vitro resistance can be overcome by dose escalation [1–3]. The concept of dose intensity has been applied in clinical medicine by dose escalation of selected agents to maximally tolerated levels. The agents utilized have myelosuppression as their dose-limiting toxicity. The dose is increased to a level that is considered myeloablative, and patients are rescued by infusion of previously collected blood and marrow stem cells. A large number of pilot studies in the 1980s established the feasibility of this approach in selected patients with hematologic malignancies. In recent years, improvements in supportive care and in stem cell collection and purging techniques have increased the applicability of high-dose chemotherapy. In addition, recent results of prospective studies, some of them randomized, have better defined the efficacy of this procedure for various malignancies.